Alright Ok Getting Better Pretty Good Awesome See the Pre History of Jointers for what came before. 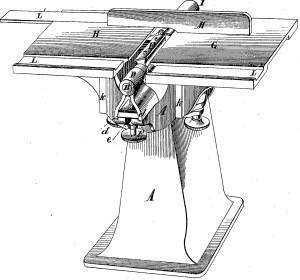 The 1866 1866 Climer and Riley patent represents the genesis of the modern jointer. John D. Riley and Henry Climer, both of Cincinnati, described a pair of tables—an infeed table and an outfeed table—separated by a cutterhead. 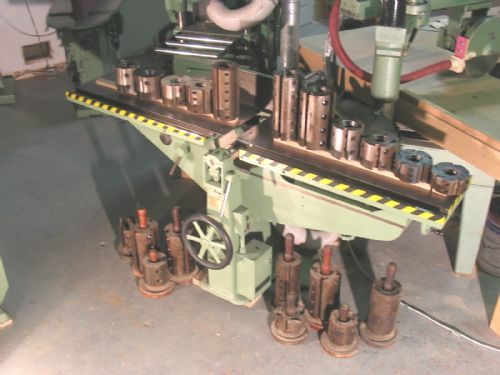 The outfeed table's height is adjusted to be flush with the top of the cutterhead, and the infeed table's height is somewhat lower. The difference in heights is exactly the depth of cut. Climer and Riley sold a half interest in their patent to Charles E. McBeth and D. W. McClung of Hamilton, Ohio, operating as McBeth & McClung. In 1870 the firm became McBeth, Bentel & Margedant, and then Bentel, Margedant & Co. in 1873. 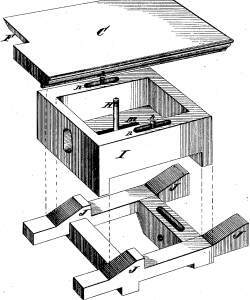 These firms implemented Climer and Riley's ingenious patent in the form of a "Universal Woodworker", where the cutterhead could be a straight cutterhead (as in a modern jointer) or a molding cutterhead. 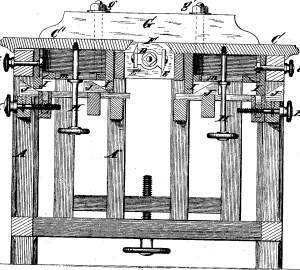 In 1875, W. W. Carey patented an improved table adjustment mechanism. 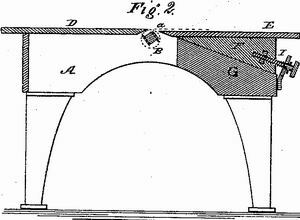 Jonathan Grosvenor's 1874 patent is noteworthy because it covers the basic wedgebed design, which remains the most popular jointer design over 130 years later. 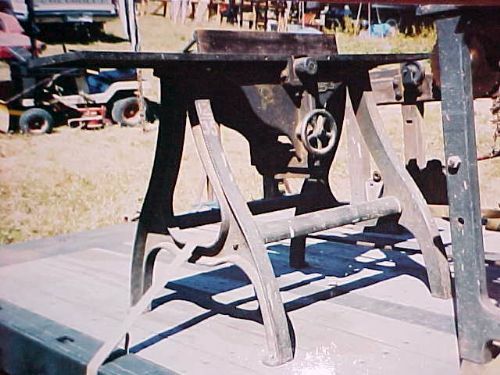 It seems that Jonathan Grosvenor never manufactured his jointer design, probably because he could not get a license from the owner of the Climer and Riley patent, Bentel, Margedant & Co. In any event, Grosvenor is best remembered for his innovative tablesaws and spindle shapers. In 1875, George Passel and W. H. Doane of J. A. Fay & Co. http://datamp.org/displayPatent.php?id=8390patented yet another table adjustment mechanism. Their patent is of note because it is the earliest image of a pedestal-base jointer we have found, and because it was the first in a rapid series of patent improvements that Doane and various co-inventors made. J. A. Fay & Co. was making both dedicated jointers and universal wood workers.